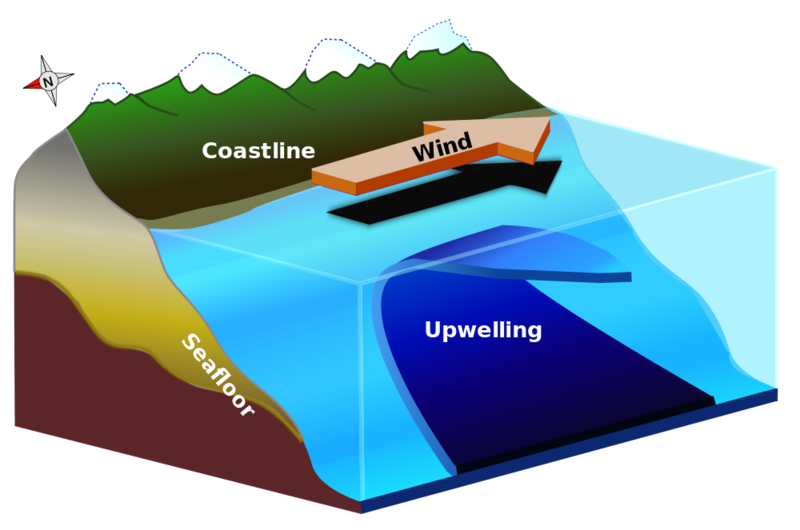 Upwelling is an oceanic process in which cold water from the deep rises toward the surface of the ocean. It is caused by strong winds and the rotation of the Earth which moves warmer surface waters offshore allowing the cold, nutrient rich water to rush up. There are three main ways that upwelling occurs and they all occur around the Galapagos Islands: along coastlines; along the equator and around the Islands. Along the coast, wind driven currents are diverted at right angles to the left of the direction of the wind due to Coriolis effect in the Southern Hemisphere (it would be to the right in the Northern Hemisphere). This is known as the Ekman transport. Where the water is displaced along the western coast of South America, the Humboldt Current brings up cold water currents form the Antarctic to the Galapagos Islands. At the equator there are no Coriolis forces present. Instead, trade winds from the north east and south east come together to form what is known as the Inter-Tropical Convergence Zone (ITCZ). This causes upwelling either side of the equator and bring nutrients to the Galapagos Islands via the Cromwell Current. Upwelling also occurs around islands and archipelagos as the sea floor becomes shallower, forcing deeper ocean currents to the surface. Upwelling brings cold water from the deep ocean to the surface. This cold water is typically rich in nutrients such as nitrate and phosphate because of the dead and decaying matter that has sunk to the ocean floor. These nutrients are important for the primary producers of the oceanic food chain, the phytoplankton. 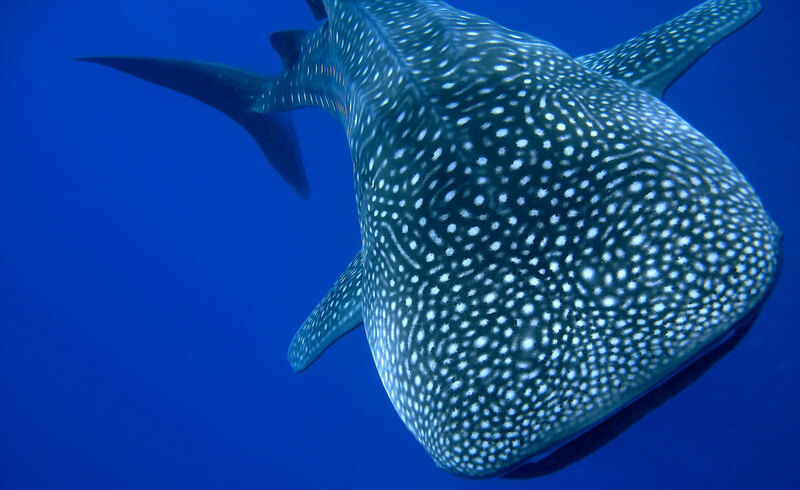 The oceans around the Galapagos Islands are very productive. Productivity refers to the amount of organic carbon that phytoplankton produce by the process of photosynthesis. This high level of productivity can be seen by looking at levels of chlorophyll in the ocean. The abundance of phytoplankton surrounding the Galapagos Islands provides food for many species of fish, birds and mammals and creates some of the richest fishing grounds in the world.